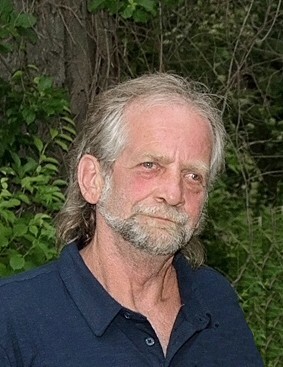 Obituary for Roy "David" Ollom | Behner Funeral Home & Crematory, Inc.
Roy “David” Ollom age 58 of Fairfield, passed away Sunday, August 19, 2018, at his home. Visitation for family & friends will be 10:00 am – 11:00 am, Thursday, August 23, 2018, at Behner Funeral Home with memorial service to follow at 11:00 am with Pastor George King officiating. Burial of cremains will be at a later date in Memorial Lawn Cemetery. Memorials may be made to the Ollom family with cards mailed to 207 North Richland Street, Richland, Iowa 52585. David was born June 29, 1960, in Fairfield to Roy and Ila “Jean” (Cook) Ollom. He married Genia Ayala in Fairfield. They later divorced. David served in the Army. For 3 years he worked for Chris Manning Painting. David was an avid volunteer for Salvation Army. What David enjoyed most was spending time with his grandkids and family. David is survived by his two daughters, Sonia Ollom of Fairfield and Shelbie (Mitchell) Fulton of Richland, IA; 4 grandchildren, Hayley Spanier, Hayden Fulton, Sophie Ollom and Connor Fulton; and one brother, Todd Ollom. He was preceded in death by his parents, Roy and Jean; and one brother, Tim Ollom.